It was a question that sparked a citywide search. Remember the days when a salad sandwich could be bought at every corner store, made to order from the deli bar where stainless steel containers of lettuce, tomato, cucumber and beetroot sat waiting for the next order? There was never a question about the beetroot! Tinned beetroot was a given, either on a sandwich or burger, giving a vinegary zing of flavour. Today, though, a made-to-order salad sandwich is an elusive meal, lost to popular dining culture, its place taken by fast food burgers, pies and pre-prepared rolls, all far less nutritious than the humble ‘sanga’. Though this food species is endangered, we’re pleased to report that it’s not yet extinct. Eventually we tracked one down at Miami Hot Bread Shop, a favourite tradie haunt where we also found other endangered food species such as finger buns, neenish tarts, homemade sausage rolls and pies. JJ’s General Store on Golden Four Drive is a treasure trove of all foods forgotten, their menu packed with items such as old-fashioned burgers with the lot, ‘Old School’ milkshakes in silver tins, savoury mince jaffles, chicken schnitzel sandwich (or burger), chiko rolls, old-fashioned lollies and slush puppies. “People love ‘old school’ food. There are too many coffee shops out there all doing the same thing,” one of JJ’s staff tells us. Foster’s Bakery is one of our most famous retro food haunts. 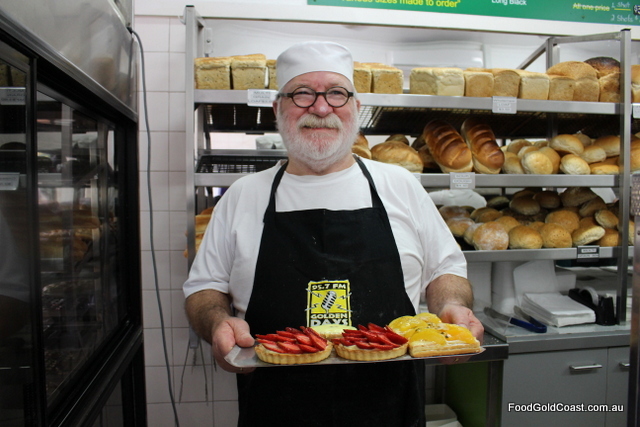 A stayer on the Nobby Beach food scene, the bakery was opened by Kevin Foster in 1982. From early morning, Foster’s is a favourite haunt of locals eager to grab a taste of their famous pies, sausage rolls and quiches, sweet treats such as strawberry tart, jam and fresh cream doughnuts, vanilla slice, pineapple tart and Burleigh brittle, with finger buns and cinnamon scrolls, all at retro prices. They even make salad sandwiches to order! While many of us will not miss a chiko roll, we are in danger of losing some of our most iconic foods, such as a homemade lamington. The salad ‘sanga’, though, is a breed of its own. With or without meat, it’s a complete, nutritious meal. The fact that only one in 10 Australian adults consumes sufficient vegetables daily is enough of an argument to bring it back! NOTE: This article was published in The Sun on 5 February 2019. 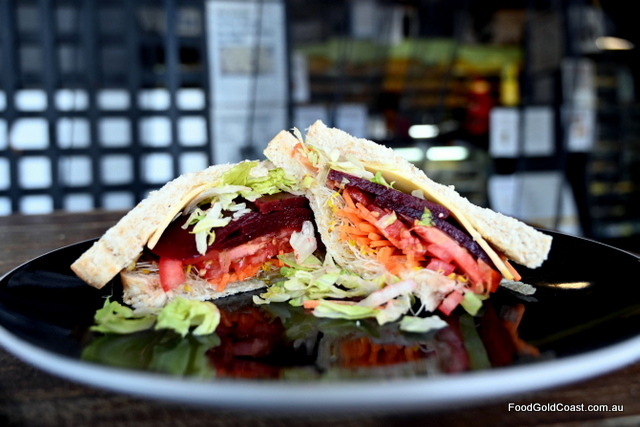 READER FEEDBACK: Thanks to GN, for the info that Kirra Beach Bakery also do a great salad sandwich. Stop in for one when you go for a ride along the Bilinga Beach cycle pathway!